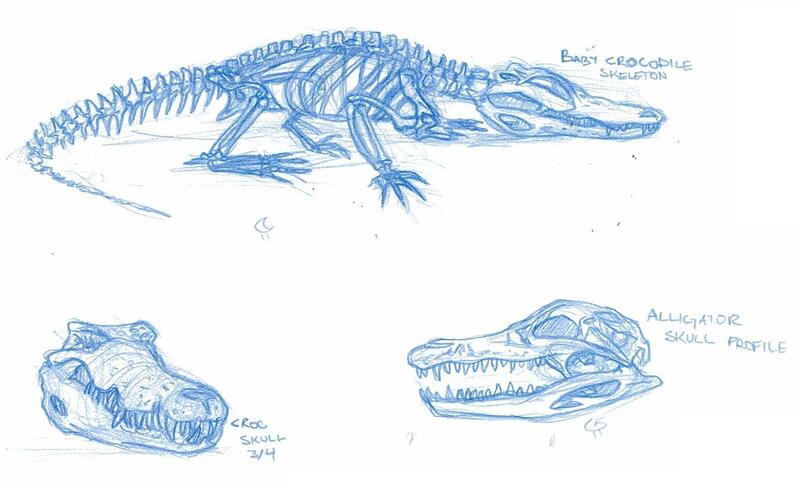 While trying to design SCP-682 initially, I realized I was not going to be able to animate him realistically without developing some kind of underlying structure (me trying to sound smart, i.e. 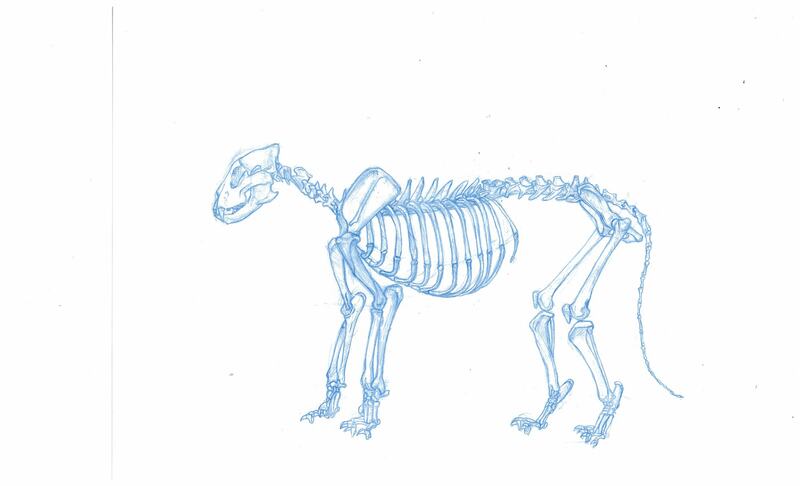 skeleton). So I took a lot of similair animals, focusing mostly on dinosaurs, crocodiles, aligators, and large cats such as lions and tigers. 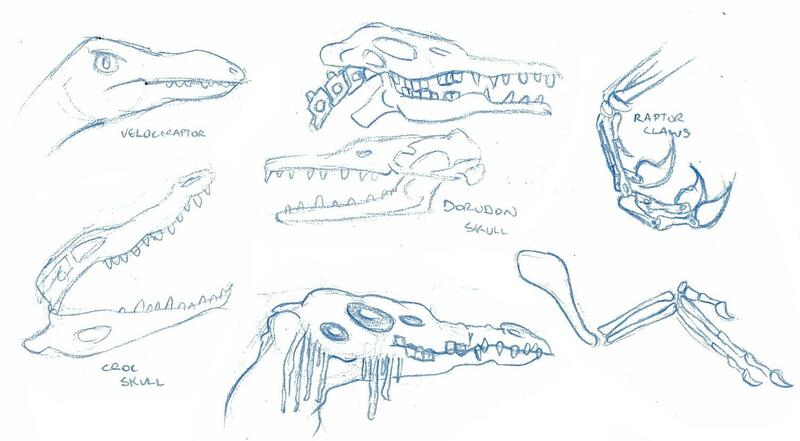 Here’s some of the skeletons I drew in that process. 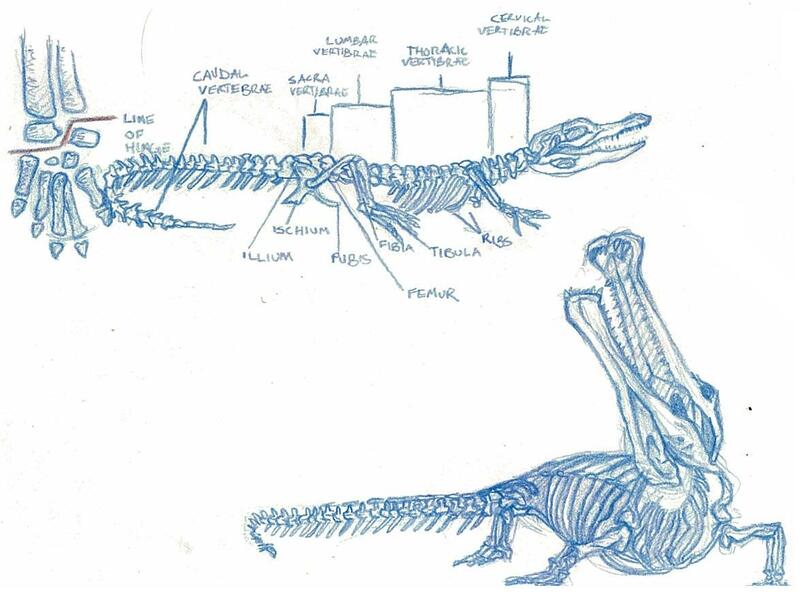 Most of the croc and gator skeletons come from google images, but the lion skeleton comes from a great book called Animal Anatomy for Artists. It’s a great book that not only gives muscle and skeletal structure, but also shows how the joints move and turn. Check it out! P.S. 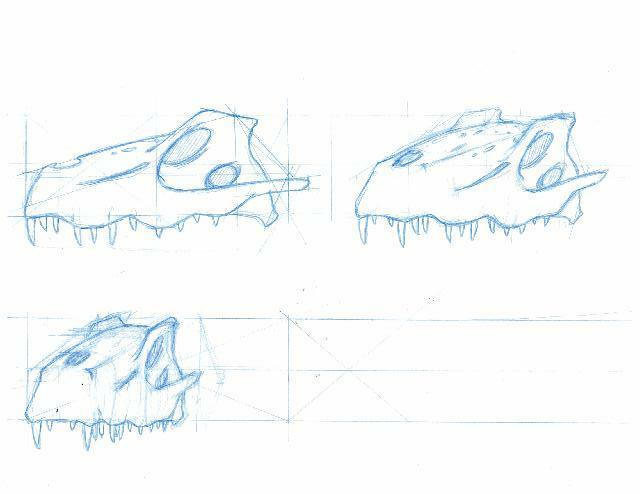 That skull turnaround image is SCP 682. Stay tuned for much much more! 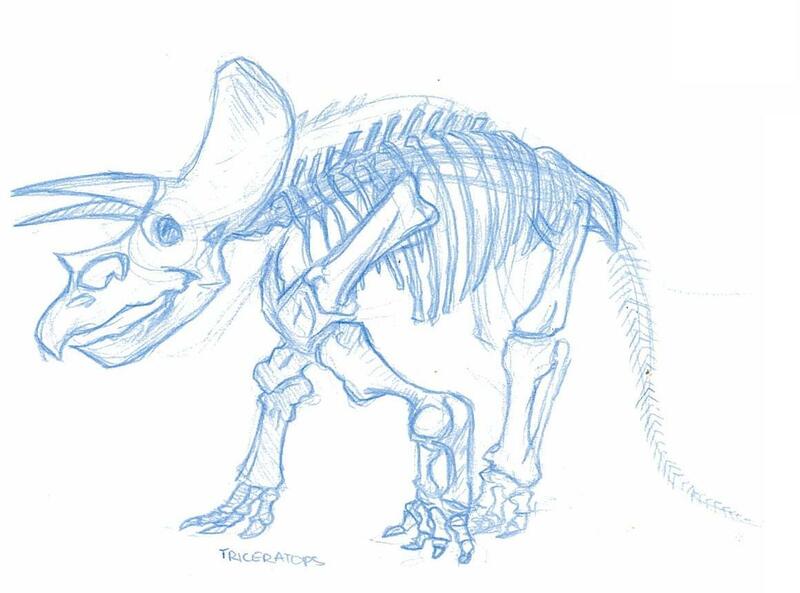 This entry was posted in Studies and tagged Bones, Crocodiles, Dinosaurs, Lions, SCP 682. Bookmark the permalink.